One in five flights were cancelled during a two-hour period at Heathrow today due to thundery weather, the airport has said. Police in north London were left with no choice but to smash the windows of this car when they found a dog trying to shelter on the pedals. 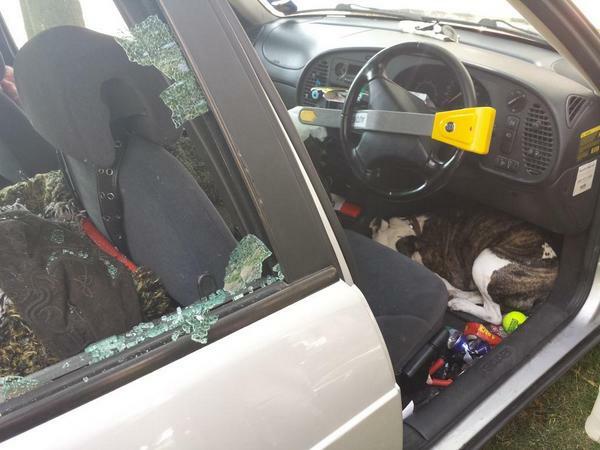 The owners of the car near Finsbury Park returned to find the back window shattered.